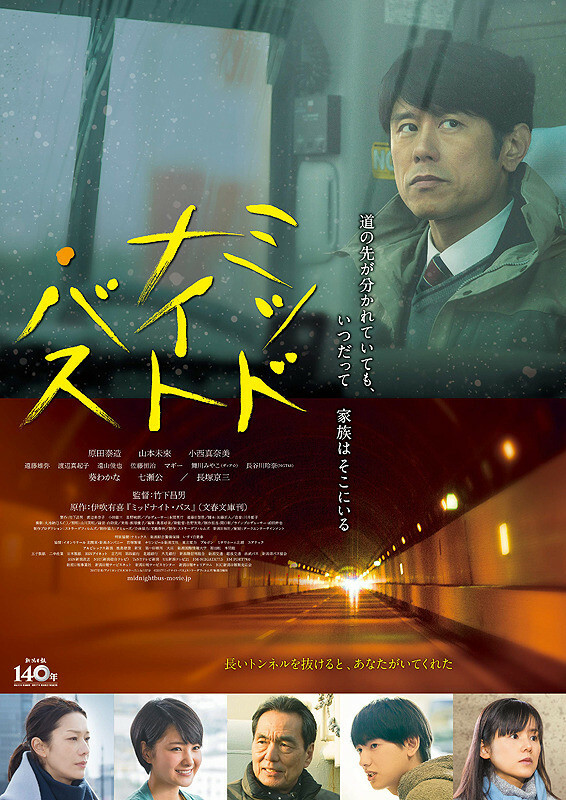 Riichi Takamiya (Taizo Harada) moves back to his hometown of Niigata from Tokyo. He works there as a driver for a long-distance night bus. One day, as he is about to drive the bus from Tokyo to Niigata, a woman gets on the bus. The woman is his ex-wife Miyuki (Mirai Yamamoto). They divorced 16 years ago. Miyuki is now remarried and lives in Tokyo. Meanwhile, Riichi Takamiya dates Shiho. She runs a restaurant in Tokyo. He has been thinking about marrying her. Riichi Takamiya's first son Reiji (Kou Nanase) quits his job in Tokyo and goes back to Niigata. Riichi Takamiya's daughter Ayana (Wakana Aoi) works on an online shopping site and shares a house with her friend. She anguishes over her work and marriage. Riichi Takamiya learns that his ex-girlfriend is unhappy with her marriage life.